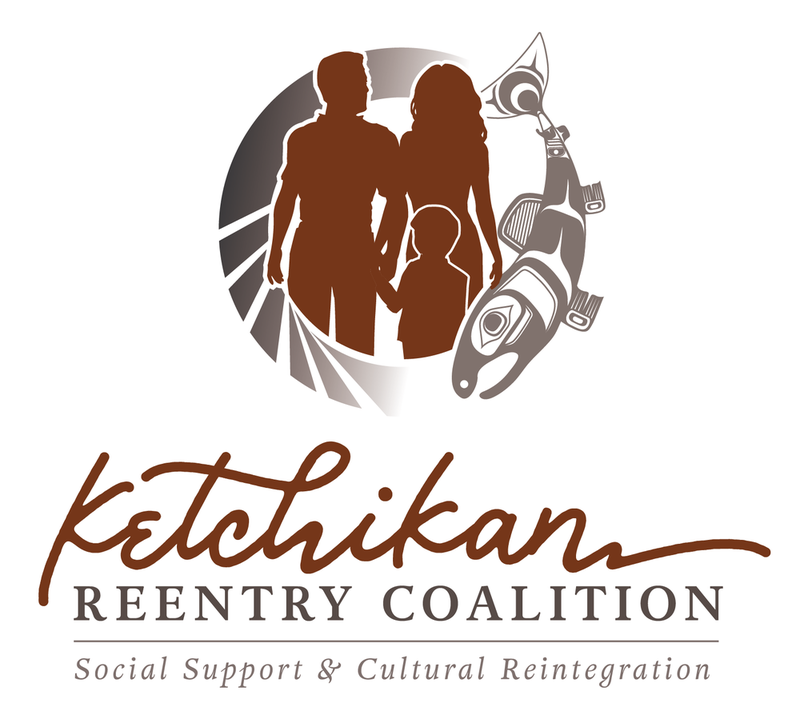 The Ketchikan Reentry Coalition performs annual assessments of the community to identify and prioritize problems contributing to recidivism, associated barriers, community attitudes, resource needs, and service gaps. These assessments help guide coalition efforts and strategic planning as we work to support returning individuals and the services they need. KRC members were surveyed, examining which areas members are most focused on and their perspective on the coalition's effectiveness in each dimension. Members rated collaboration as the greatest strength of the coalition, in particular motivation to address recidivism and trust in each other. Our weakest area was in communication, with members feeling that the coalition is poorly integrated in the community and generally limited in it's ability to influence policy decisions. Members are less focused on recruitment of additional stakeholders, yet members also identified that our biggest weakness is a lack of influence amongst community leaders. We need to make sure we are still reaching out and engaging with local government and working to get city and borough leaders invested in the work we're trying to accomplish. These scores are related to 9 Stages of Readiness that describe how community members feel about the issue of recidivism and their readiness to address the issue. Community Readiness Scores are based on the 9 stages of readiness. A few community members have at least heard about local efforts, but know little about them. Leadership and community members believe that this issue may be a concern in the community. They show no immediate motivation to act. Community members have only vague knowledge about the issue (e.g. they have some awareness that the issue can be problem and why it may occur). There are limited resources (such as a community room) identified that could be used for further efforts to address the issue. Post flyers, posters, and billboards. Begin to initiate your own events (e.g., potlucks) to present information on this issue. But they must be fun or have other benefits to potential attendees. Publish editorials and articles in newspapers and on other media with general information but always relate the information to the local situation. In the spring of 2018, the KRC began gathering data to assess and evaluate the resources available to reentrants in the greater Ketchikan area and identify service gaps. The Coalition drew on multiple existing data sets for this resource assessment. Department of Corrections supplied the coalition with the 2015 Alaska Offender Profile, which contains “count and admissions data include information about all offenders under the jurisdiction of the State of Alaska” and was used primarily to identify how many individuals in the region are currently under supervision and may likely benefit from reentry services. This assessment is also informed by DOC “Pipeline” data, which details the total number of releases for the region, used primarily to identify how many individuals are being released into Ketchikan and therefore may likely benefit from reentry services. Finally, this assessment draws from the 2015 Alaska Scorecard issued by the Alaska Mental Health Trust Authority, in particular rates of Trust Beneficiaries intersecting with the justice system. In addition to the above quantitative data, the assessment team also created an asset map of providers of services and supports available to returning individuals, categorizing available resources each organization offers by the five key community resource areas. This serves the dual purpose of (a) providing valuable information for this assessment in the form of identifying assets and service gaps, and (b) creating a comprehensive resource guide that can be immediately put to use by reentrants and care coordinators. This assessment is also informed by a series of 20 interviews with key informants in Ketchikan that either work directly or otherwise regularly intersect with reentrants. These interviews were guided by a series of open-ended questions designed to engage with the informant on issues related to recidivism and reentry supports for returning citizens. Data was collected primarily through interviewer field notes between October and November of 2017. Interview data was categorized by the five community resource areas, then scored along two dimensions: policy development and implementation related to the issue / focus area, and the degree to which the environment contains the needed elements to address the issue / focus area. By comparing these scores across the five focus areas, we can draw conclusions about what community members see as the current state of policy related to supporting reentrants in each focus area and what resources are needed, available, or missing to support those policies. In 2015, there were 733 individuals state-wide who were re-incarcerated for violations of their parole or probation. Many of these may have benefited from reentry supports designed to reduce the likelihood of recidivating. According to the 2015 Alaska Offender Profile, Ketchikan accounted for 3% of the total state population of probationers and parolees, with 158 individuals under supervision in our community at that time. As noted in the Alaska Mental Health Trust 2015 Scorecard, 65% of individuals incarcerated in Alaska struggled with mental illness or mental disabilities (which includes developmental disabilities, substance abuse, traumatic brain injury, and other issues). Offenders in this category typically serve twice as long as those who do not struggle with mental illness and disability. In effect, the Department of Corrections has become the largest provider of mental health services in the state. According to Department of Corrections 2017 data on releases, 114 individuals were released back into our community (103 felons and 11 misdemeanants), accounting for approximately 2% of state-wide releases for the year. Note in the chart below that this is only 34 fewer reentrants than Juneau, a community four times larger than Ketchikan. The four largest demographic groupings of reentrants for 2017 were Caucasian males (accounting for 47% of the population), followed by Alaskan Native Males (32%), Caucasian females (10%), and Alaskan Native females (7%). This assessment reviewed the current state of available resources to assist reentrants. These findings are organized by five broad sectors: housing, employment & meaningful engagement, physical & mental healthcare, culture & social connectedness, and transportation. Housing is often cited as one of the key areas of need in Ketchikan, and the area already has a long history of working to address homelessness in general, if not specifically in support of reentrants. A variety of different programs, policies, and supports have been adopted by several different community providers to address the issue, but community members largely feel that these policies and programs have only a few of the necessary elements to be fully implemented and successful. That said, the asset mapping performed by the coalition as part of this assessment revealed 14 different organizations that provide various supports around housing and homelessness available to reentrants. Some supports are focused on meeting the immediate need and getting people off the streets (like Ketchikan’s homeless shelters, PATH, WISH, and First City Homeless Services), others provide direct rental assistance (KIC’s low-income housing, Public Assistance and Love in Action’s financial assistance programs, or AHFC’s reentrant-specific Tenant-Based Rental Assistance program), and some assist with referrals & coordination around housing (SAIL, Inc). Treatment homes and sober housing are particularly limited, as are most forms of temporary or transitional housing. According to key informants, housing and homelessness is a hardship for many reentrants who often end up returning to their pre-incarceration antisocial peer groups due to lack of any other viable options, greatly contributing to recidivism. Other options can be hard to come by, as many landlords refuse to rent to reentrants, often in violation of state and local landlord-tenant laws. The lack of any comprehensive care coordination or case management means reentrants (who often severely lack independent living skills) are forced to navigate the complexities of lease agreements without any support. These issues become greatly magnified for reentrants outside of Ketchikan, such as those residing in nearby Prince of Wales or Metlakatla where resources and supports are extremely limited, if not non-existent. Community members noted that efforts to address homelessness are sometimes impeded by tensions between groups focused on meeting the immediate need and those focused on prevention, with some competitiveness over funding between these broad camps. Indeed, Ketchikan suffers not so much from a lack of facilities and space (multiple informants noted potentially available buildings that could be utilized), but from a lack of funding and resources to obtain and manage such facilities. It should be noted, though, that there have been recent efforts to break down some of the “silos” built up around individual organizations and encourage greater collaboration, particularly through community coalitions and standardization of data collection practices. Homelessness, in general, is an issue that benefits from broad public support, and many recognize housing as critical to reentrants successfully reintegrating into the community. Employment is critical to reentrant success, engendering a sense of purpose while providing a means of supporting oneself, facts known well by coalition members and informants. Despite this common knowledge, there are relatively few organizations in Ketchikan that address employment needs: about a half-dozen providers can train individuals in various job-related and independent living skills (including a GED program at UAS that is potentially free), with KIC having the most robust array of training & development services available to tribal members, but Ketchikan has generally few job placement or temp agencies, limited to the resources available at the Department of Vocational Rehabilitation Job Center and the Center for Community. Even these minimal services disappear outside of the immediate area, with reentrants in Prince of Wales, Metlakatla, and other outlying areas largely unable to access any employment and engagement services. That said, in the qualitative portion of this assessment, community members rated opportunities for reentrant employment relatively highly: while Ketchikan might lack formal services and policies to support and facilitate reentrant employment and meaningful engagement, respondents frequently noted that the culture of Ketchikan is more accepting of hiring the formerly incarcerated, especially in the fishing, logging, and construction industries (the shipyard Vigor, in particular, has been something of a champion of hiring and supporting reentrants), but also amongst many seasonal tourism-oriented businesses, restaurants, retail stores, and elsewhere. This policy is far from universal, however, with major providers of support services (an industry that employs many Ketchikanians) such as PeaceHealth and Community Connections barring felons from hire – even municipal services like water treatment, which typically has high turn-over, barre reentrants from applying. What options that do exist are also largely unavailable to reentrants with violent or sexual offenses on their records – many reentrants are barred due to the barrier of background checks. Still others who manage to obtain employment struggle to keep it, as many lack basic life skills. While there are organizations that provide this kind of skills coaching, it is incumbent on the reentrant to seek these out – currently there is very little in-reach happening to train and educate offenders held at the Ketchikan Correctional Center, lacking even GED resources at the time of this assessment. In addition, the lack of care coordination and case management after release means reentrants often receive only minimal encouragement to pursue and engage in what skills training opportunities there are. Ketchikan has a surprisingly wide array of health services for a community of its size, with 23 different organizations, agencies, and support groups offering a range of services addressing physical & behavioral health, the disabled, seniors, and others. For those who know where to look, resources exist to address issues such as gaining healthcare coverage, SSI/SSD applications, health screenings, STD testing, eye care, robust hospital services, mental illness, trauma, and more. Many of these also assist with referrals and care coordination, pointing those in need in the right direction to get help. A variety of behavioral and social support groups exist, addressing substance abuse, grief & loss, childbirth, disabilities, and more. Roughly a half-dozen organizations exist specifically to assist seniors with everything from meals, in-home care, medical equipment, and more – potentially a great boon to Alaska’s aging offender population. Ketchikan also has some peer support services, though none specific to reentry, a fact that many community members hoped would change, many seeing peers playing a potentially pivotal role in reentrant success. Despite the wide range of services, community members actually regarded Healthcare as the weakest of the five focus areas. Ketchikan struggles to meet the demand for services in key areas, which may explain why community members largely feel only the bare minimum of policies to address substantial healthcare concerns are in place, policies which generally lack the resources in funding and personnel needed to support those efforts. Substance abuse especially poses one of the greatest resource challenges in Ketchikan, with treatment largely limited to the services offered by KIC and Akeela for most adults; both have a robust outpatient services and support groups (though one informant noted the lack of any anger management treatment options), Akeela provides a range of intensive behavioral health and substance abuse treatment, including emergency psychiatric services and operating the area’s only residential substance abuse treatment facility (a 12-bed home). There are very limited medically-assisted treatment options. 40% of community members interviewed noted reentrants typically face significant wait times for substance abuse assessments, especially for non-tribal members, resulting in some returning citizens struggling to manage their addictions without treatment or supports for anywhere from two to six weeks after release. These long delays appear to be directly attributable to shortages in available staff and difficulties with filling vacancies, agencies often having to recruit from beyond the Ketchikan area. In addition, Ketchikan currently has no services around withdrawal management, detox, or sobering centers. Substance abuse is not the only behavioral health issue faced by reentrants; respondents also noted that many of the population have co-morbid mental health disorders and trauma histories. DOC staff want to ensure issues such as these are identified sooner, but note that getting assessments done in-reach has been difficult, with no real system or procedure in place to coordinate with providers. After release, reentrants seeking supports face additional barriers simply navigating the environment of support service organizations and their varying intake processes. Currently, Ketchikan has no real structures in place to ensure continuity of care for reentrants – after release, the onus is on returning citizens to seek out any physical or behavioral supports they may require from a variety of service organizations, each with their own procedures for accessing care. Community members consistently identified the root cause of many of the above issues to be a lack of care coordination for reentrants. Informants noted that, given the fact that many reentrants suffer from behavioral health issues, skill deficits, limited or non-existent pro-social support networks, and other barriers, returning citizens would likely benefit from a dedicated reentry case manager, providing a consistent point of contact for the reentrant, ensuring follow-through by coordinating with providers as a hub, and establishing standardized procedures for smoothly transitioning reentrants into services on release. As noted above, Ketchikan has two dozen different local organizations providing at least some form of healthcare services – resources do exist, but greater collaboration and coordination between these providers is needed in order for reentrants to be served both sufficiently and efficiently. Ketchikan features a broad array of cultural and social connectedness services, with more organizations and agencies providing supports in this focus area than the other four combined. There are a huge variety of community supports and services that bring people together, fostering connection and integration into pro-social groups, connecting individuals to resources and support networks, and provide opportunities for engagement and recreation. A variety of support groups exist, where reentrants and other community members can find others tackling the same issue, including pregnancy, childbirth, parenting, grief & loss, disability support groups, AA groups, and others. First City Homeless Services and the Park Avenue Temporary Home keeps many individuals connected to community resources, providing clothing, computer and media access, and coordinating with other community services for referrals. Robust cultural supports exist for tribal members, with KIC and Saxman providing the bulk of services which include resources and supports for elders, cultural education & camps, language preservation, traditional dance, and more. Multiple community members noted the importance of heritage and cultural connectedness for Native Alaskan reentrant recovery, healing, and success. Volunteer opportunities exist, but primarily through Ketchikan’s thriving church community. In fact, such religious institutions and organizations play a critical role in the delivery of resources to community members, in particular through Love in Action and the Ministerial Association, the former a collaboration that unifies and centralizes the efforts of around a dozen different congregations, while the latter serves an important organizational and leadership role. Ketchikan’s church community has a long history not only in the role of on-the-ground delivery of resources and services, but also in their in-reach efforts of prison ministry. This spiritual support to incarcerated individuals also neatly dovetails into a social support upon release, churches typically welcoming reentrants into an established pro-social community. While community members see more of the necessary elements in place to address social and cultural connectedness than other focus areas, there is still a wide recognition of the need to do more. Incarceration interrupts life, resulting in reentrants returning to Ketchikan largely disconnected from the community. With limited social connections, many end up returning to the same antisocial groups. Many deal with multi-generational trauma, and as a result have significant disconnects in family supports and wide-spread loss of skills across entire generations. Many reentrants are returning to their communities without any pro-social network or community to support them and have a great need for social connectedness supports. Some of this transitional shock could be eased by a broader range of prison in-reach services – while churches play an important role here, reentrants also need supports in the form of basic life skills training on being an independent adult. Some community members note that church volunteers are not always the best at navigating issues of professional boundaries with reentrants, potentially running the risk of doing more harm than good. Trained peer supports could help here, providing a relatable guide to returning citizens, but current peer support services available in Ketchikan are still fairly limited, especially as state-wide procedures and standards for the certification and training of peer supports are still being actively developed. While community members note that, overall, coordination amongst providers of social and cultural supports have improved, Ketchikan still suffers from some silo-ization of efforts, but these community members also note that increasing opportunities for collaboration significantly help in breaking down inter-organizational barriers. Transportation as a focus area is somewhat paradoxical in Ketchikan – there are relatively few organizations providing supports in this area, but it also appears to be an area of very low concern for community members. In fact, so few informants noted it as an issue in the qualitative assessment that there was not a significant enough amount of data to score and draw any statistical inferences from. Some organizations do provide transportation services, such as tribal and church groups, mostly for seniors but some for the general public. In general, community members do not seem to regard this as a problem area for Ketchikan, with the small size of the community making most areas accessible on foot or otherwise well-served by the existing bus and taxi services. Transport becomes more of an issue for reentrants living in outlying areas only accessible by ferry or plane which must often come into town to access services. Lack of access to services for reentrants in outlying areas.